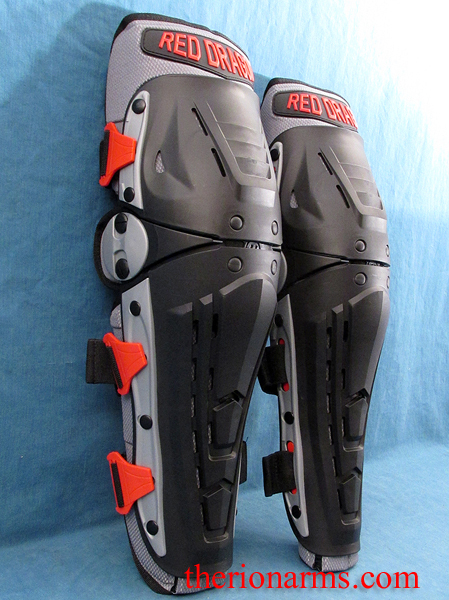 These knee and shin guards are so well articulated you hardly know that you are wearing them, and they provide some of the best protection and mobility on the market. 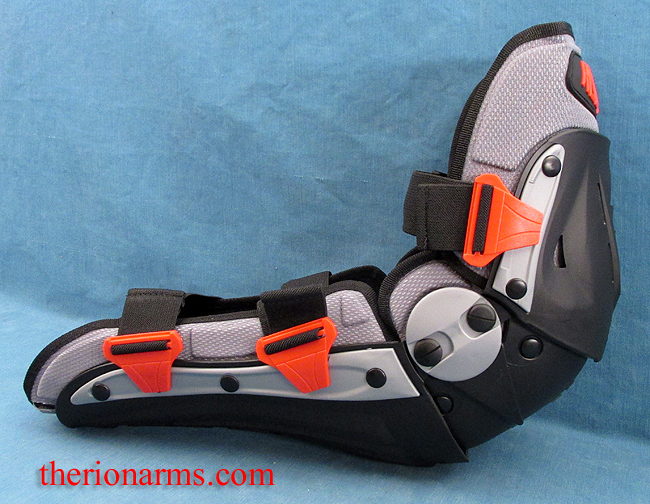 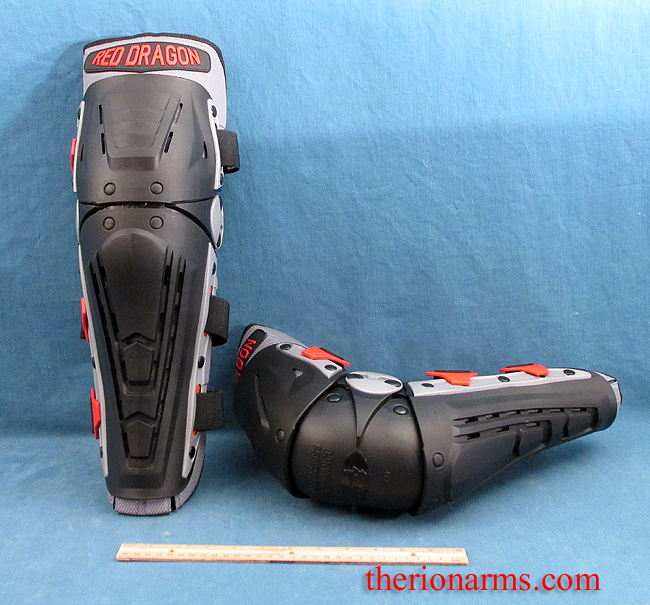 They articulate with the knee rather than restrict movement and also offer side protection for the knee. 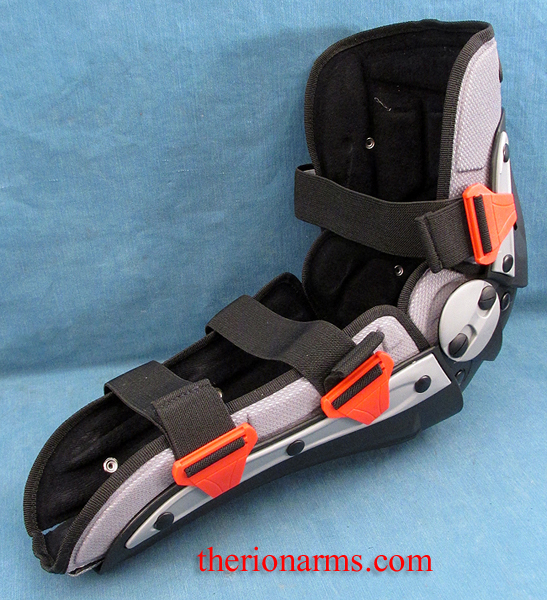 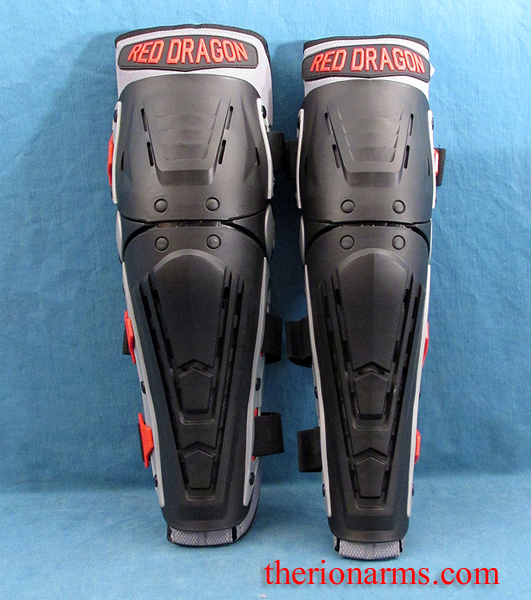 They are much less bulky than many other shin and knee guards, with a superior removable and washable padded liner. 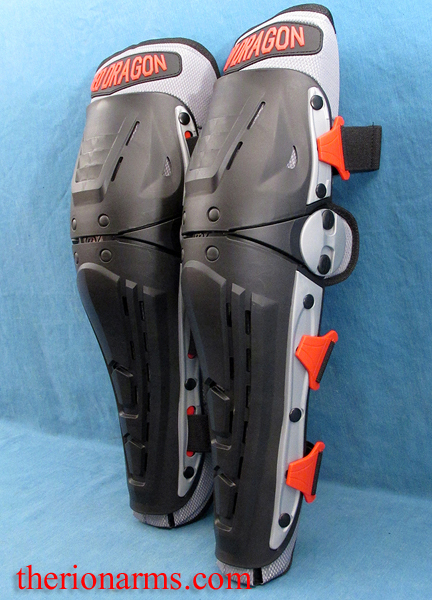 In the pictures above, particulalry from the back, they look slightly different because they come packed one inside the other, and the one hadn't relaxed yet when the pictures were taken. 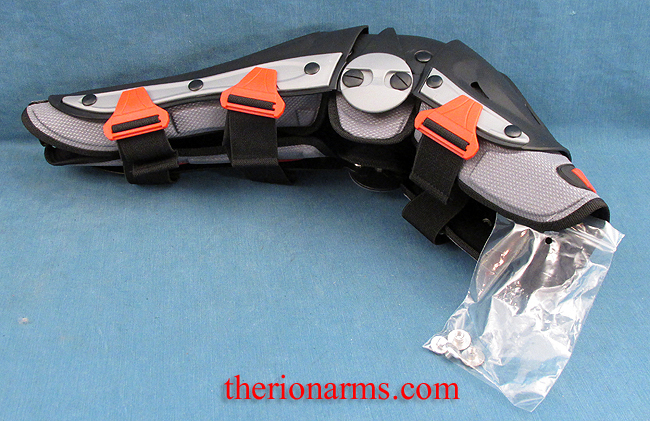 They also come with spare Chicago screws in case you loose any while fighting. 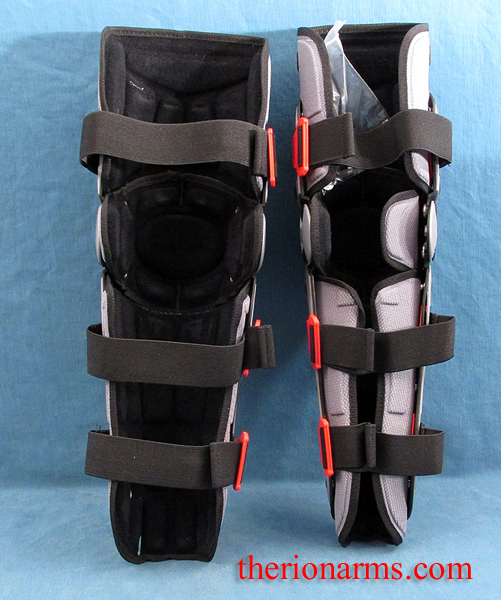 One size fits most - they are 20 1/2" in length from top to bottom.